ION's PHD Compute nodes bring the power of Intel's Xeon Scalable Processor Family to a High Density form factor. 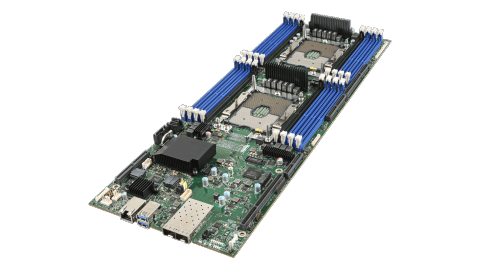 The ion PHD Server is a 0.5U Rackmount Server based on the Intel S2600BP serverboard . 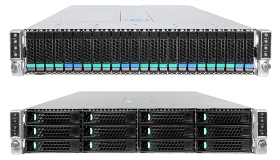 The PHD Server supports 1 - 2 Intel® Xeon Processor Scalable processors at speeds as high as 3.6GHz or up to 44 Processor Cores with up to 768GB of ECC DDR4 2666 RDIMM memory. Storage options include M.2 SSD only or up to (3) 3.5″ disks or up to (4) 2.5″ SSDs and/or disks plus up to (2) NVMe SSDs, per node.